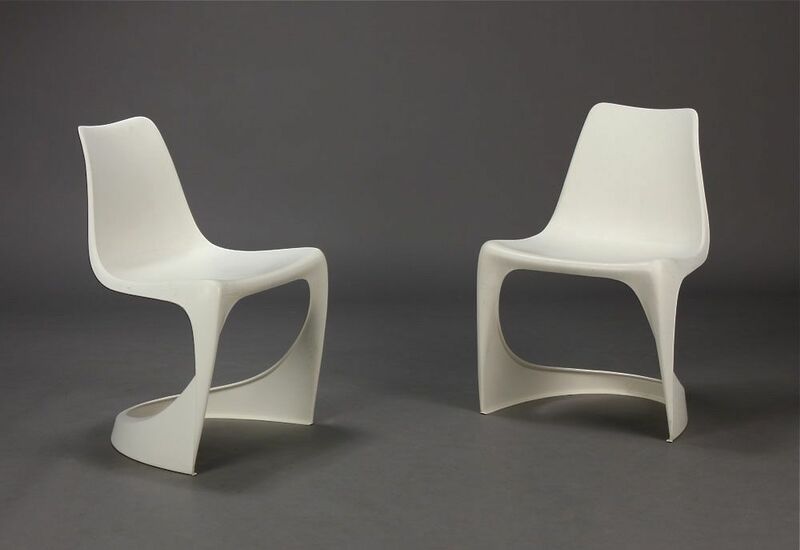 One of the iconic designs of the modern era, Steen Ostergaard's moulded plastic chair of 1966 was soon on everyone's must-have list. 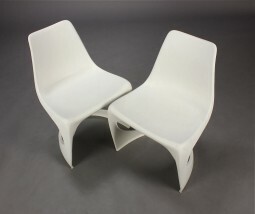 The cantilever base of this chair provides a springy comfort, and you can stack it, which makes it ideal for small spaces. 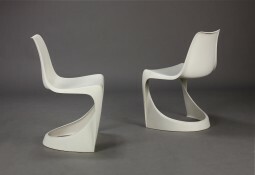 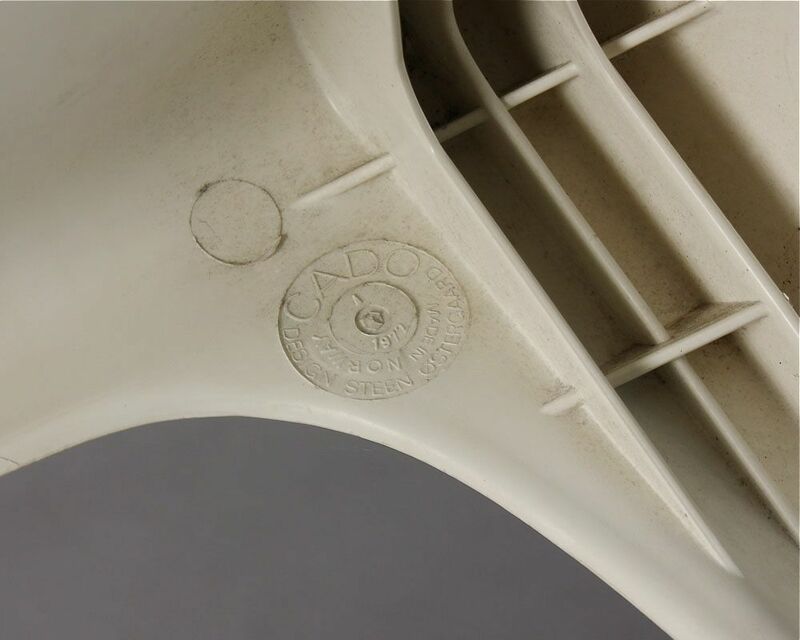 They were made by Cado in Norway and are quite early examples - they are dated 1972. 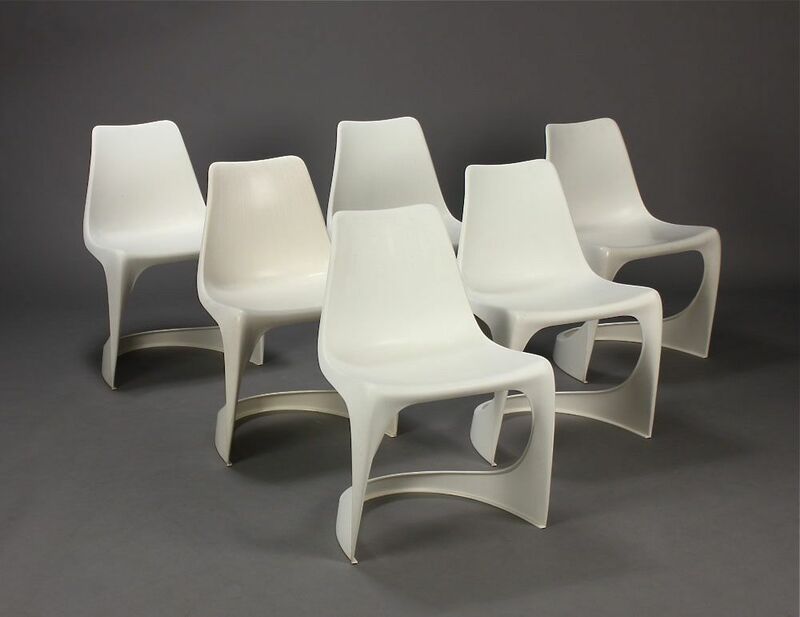 Produced in fiberglass reinforced Polyamide (nylon) for indoor and outdoor use. Selected for jails in USA - reasons easy to clean and no legs to be used as weapons. The measurements are 38 cm wide, 48 cm deep and 75 cm high, and the seat is 43 cm high.